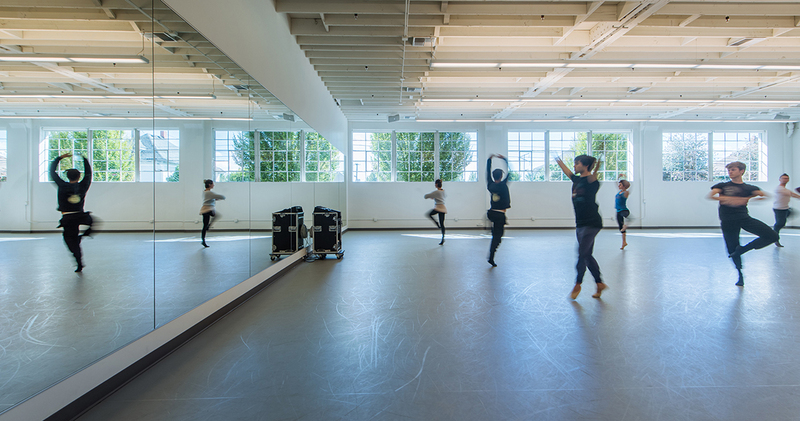 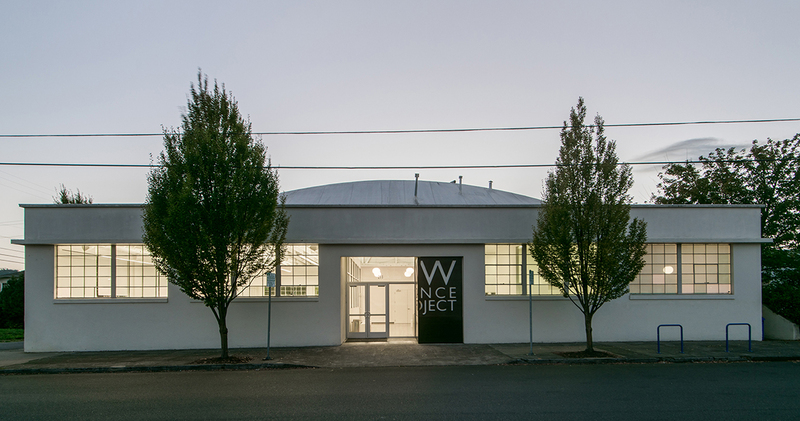 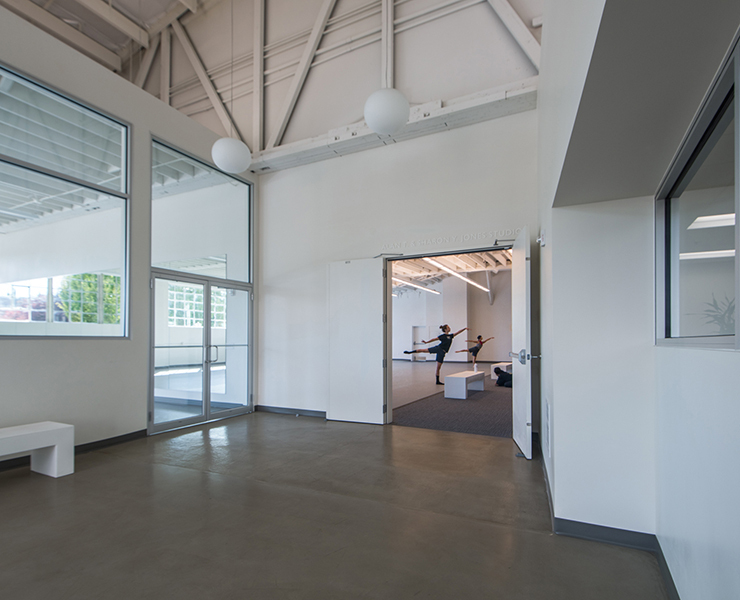 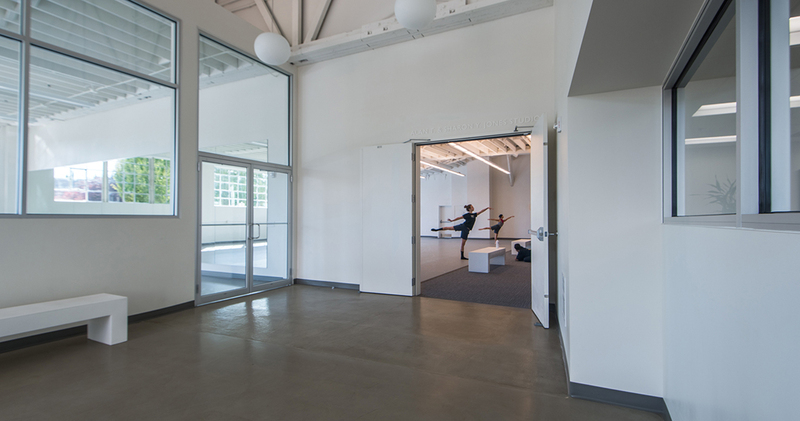 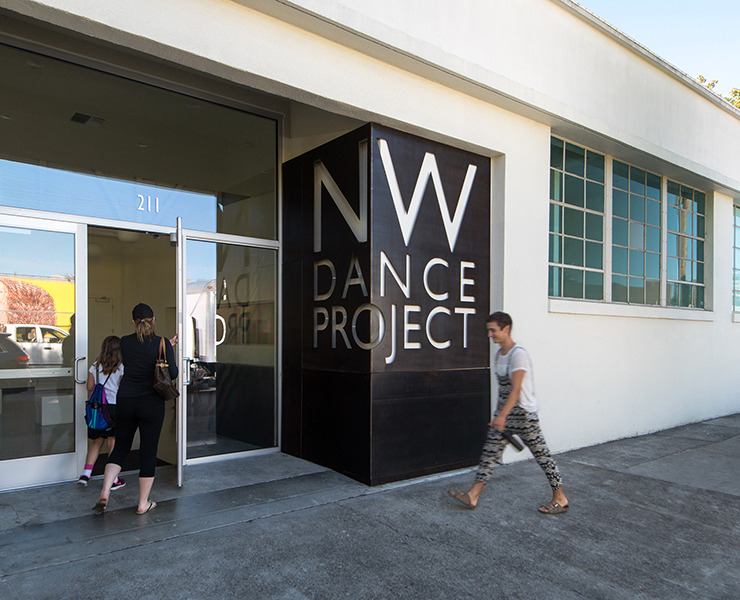 Opsis transformed 8,500 sf of an existing warehouse in Portland’s central East side into the Creative Center for the Northwest Dance Project (NWDP), one of the most dynamic and innovative dance troupes in the country. 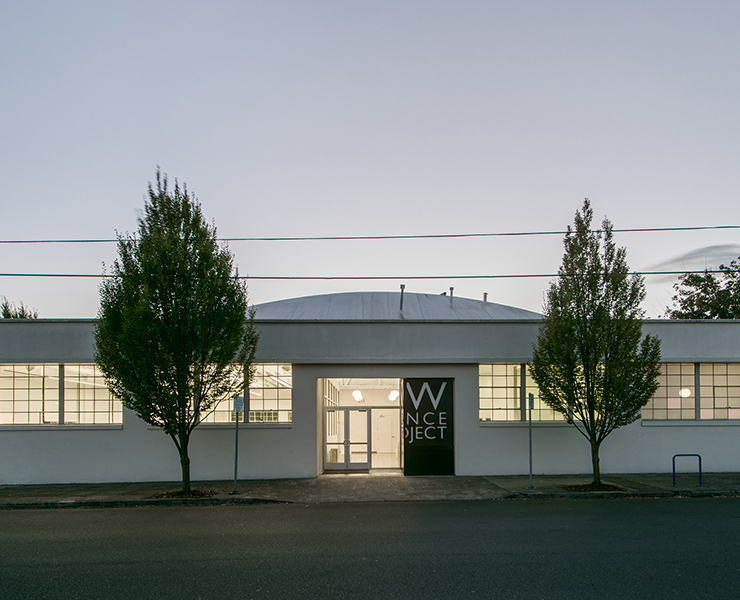 The design is an exercise in restraint that expresses the virtues of the high bay warehouse with exposed wood bow trusses and joists and high clerestory windows that provide abundant daylighting. 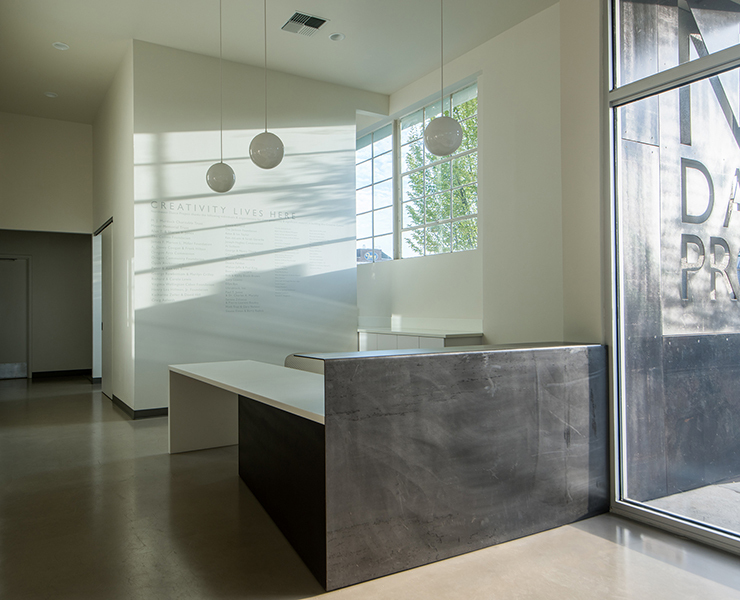 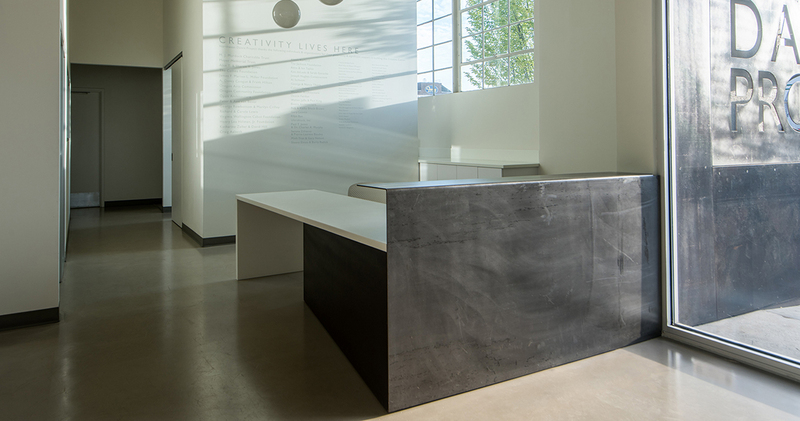 The minimal aesthetic of NWDP is expressed within the whitewashed interior, exposed concrete and Marley floors, and carefully composed interior walls with relite windows recycled from the existing building. 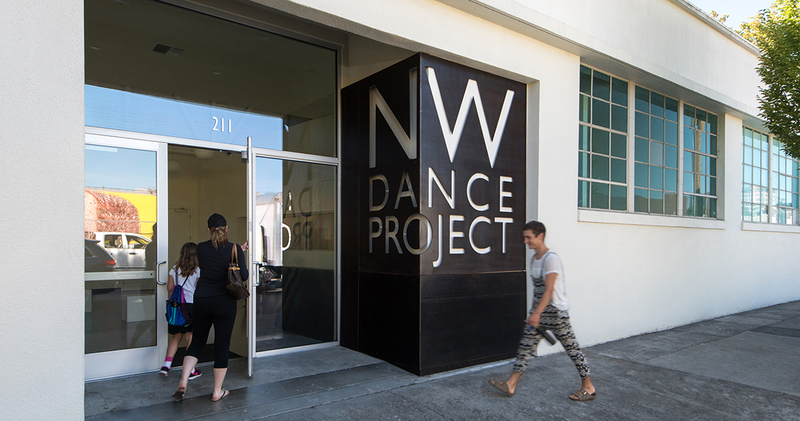 NWDP’s identity is branded into the recessed entry that is infilled with their logo laser cut into a folded raw steel plate which extends into the interior to form the reception desk. 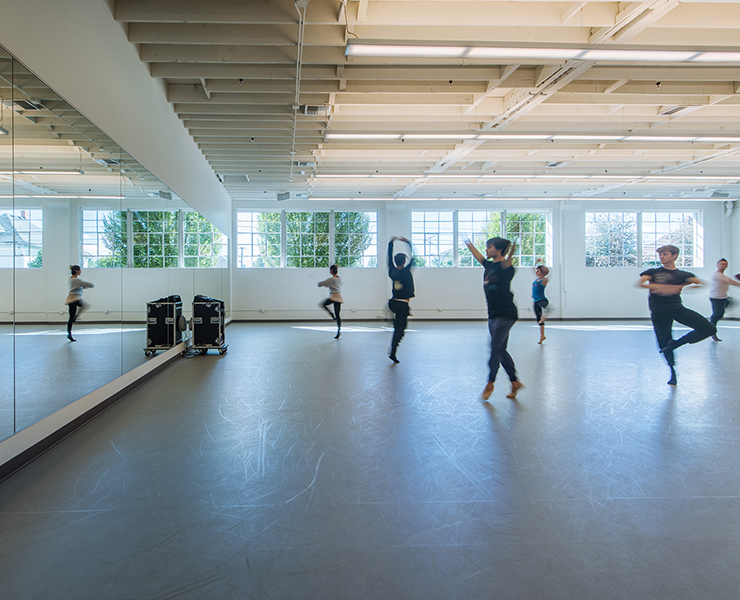 The project includes a 3,600 sf company rehearsal studio, 1600 sf instructional studio for adult and youth classes, lobby and reception area, lounge, administrative offices, production conference room, costume and prop storage, laundry and dressing rooms.